Please read these terms and conditions of use of the website carefully before browsing. By accessing this site, you accept these terms and conditions without reservation. 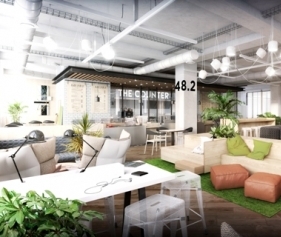 The company Centre pour le Dévelopement du Management Entrepreneurial - CDME, a Société par actions simplifiée with a capital of EUR 4,352,710, whose head office is located at 23 avenue Guy de Collongue, 69130 Ecully, telephone number +33 4 78 33 78 00, fax number +33 4 78 33 61 69, registered under the number 505388017 on the Trade and Companies Register of Lyon, a training organization registered under the number 82 69 10510 69 with the regional prefect of Rhône-Alpes, subject to VAT under the identification number FR 34 505 388 017, hereafter called emlyon business school. The website can be accessed via the following urls: http://www.executive.em-lyon.com and is operated in accordance with French law. The use of this website is governed by these general terms and conditions. By using the website, you acknowledge that you have read and accepted these terms and conditions. 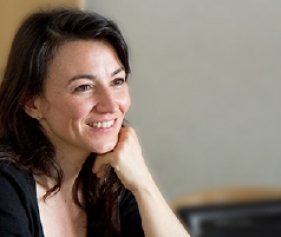 They can be changed at any time and without notice by emlyon business school. emlyon business school cannot in any way be held liable for misuse of the service. The information contained on this website is as accurate as possible and although the website is periodically updated, it may nevertheless contain inaccuracies or omissions. If you notice an omission, error or what may be a malfunction, please report it by email (webmaster@em-lyon.com), describing the problem as precisely as possible (page causing a problem, trigger, type of computer and browser used, etc.). Any content is downloaded at the user's own risk and under their sole responsibility. Consequently, emlyon business school cannot be held liable for any damage to the user's computer or any loss of data resulting from the download. emlyon business school cannot be held liable for the hypertext links contained on this website to other resources on the Internet. These terms and conditions are governed by the laws of France and any dispute or controversy arising from the interpretation or execution thereof shall be the exclusive jurisdiction of the courts where the registered office of emlyon business school is located. French shall be the language of reference for the settlement of any disputes. Users of emlyon's websites, and users of websites and social networks through which emlyon communicates, are informed that emlyon collects and implements, through its websites and, where applicable, social networks and other communication sites which it does not own, the processing of personal data for the purpose of managing relations with users - including the creation of user accounts, the management of requests for information and online brochures, the management of newsletters, etc. ; the management of emlyon's marketing and communication operations and the management of the proper operation and security of the emlyon websites. 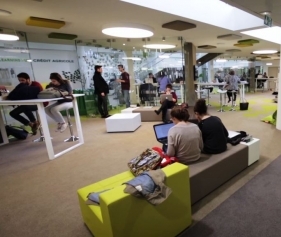 Each emlyon campus is responsible for processing the user data pertaining to it. However, when emlyon implements data collection and processing through social networks or other websites that it does not own, emlyon is not responsible for the use made of the data by these social networks or websites. For their information, users should refer to the personal data policy implemented by the website or the social network in question where this is available to them. - service providers acting in the name and on behalf of emlyon. User data is kept for a period of 3 years from the end of the relationship with the user or from the last contact with them, before being deleted. Data from users interested in studying at one of our emlyon campuses outside the European Economic Area (EEA) (for example, in Morocco or China) may be transferred to these campuses acting as data controllers. for the same purposes as those set out above. Data from all users of emlyon's websites may also be transferred to service providers acting in the name and on behalf of emlyon, which may be located within or outside the EEA, including in countries which do not offer the same level of protection of personal data as the EEA, in particular the United States for hosting purposes. Where appropriate, transfers of data outside the EEA to countries that do not provide the same level of protection shall be governed by the applicable legislation, by setting up safeguards such as the conclusion of standard contractual clauses modelled on those adopted by the European Commission. All users have the right to access, correct, amend and delete their personal data. They may therefore ask for any personal information which is inaccurate, incomplete, equivocal or outdated to be corrected, supplemented, clarified, updated or deleted. Users may also, for legitimate reasons, object to the processing of their personal data. In order to exercise their rights, users may submit their requests by post to emlyon business school: 23, Avenue Guy de Collongue, 69130 Ecully, France, or by email to the following email address: dataprivacy@em-lyon.com. Depending on the choices made when the user account is created or via the relevant data collection forms, users may receive information and/or newsletters related to emlyon. Users no longer wishing to receive such information can decline at any time by sending an email to the following address: dataprivacy@em-lyon.com or by clicking on the link provided in the communications received. Taken together, the presentation and content of this website constitute a work protected by the laws currently in force on intellectual property. The trademarks of emlyon business school and its parent, subsidiary and affiliate companies, and the logos appearing on the website are registered trademarks and therefore the property of EMLYON Business School and its parent, subsidiary and affiliate companies and/or their partners. No commercial exploitation, reproduction, representation, use, adaptation, modification, incorporation or translation, in whole or in part, of any part of this website may be made without the prior written consent of emlyon business school, with the exception of the private use thereof which is subject to the different, more restrictive provisions of the Intellectual Property Code. All the contents of this website, including but not limited to the graphics, images, texts, videos, animations, sounds, logos, gifs and icons and their formatting are the exclusive property of emlyon business school with the exception of trademarks, logos or content belonging to other partner companies or authors. emlyon business school is also the owner of the “rights of database producers” referred to in Book III, Title IV of the Intellectual Property Code (Law no. 98-536 of 1 July 1998) relating to copyright and databases. The website is optimised for Internet Explorer 8 and 9, Mozilla Firefox 8, Google Chrome 15 and Safari 5. The information published on the website (texts, graphics, photos, etc.) is purely general and informative and is given for information purposes only. This website does not constitute a contractual document and cannot be used as grounds for legal action. Moreover, emlyon business school cannot be held liable for any damage resulting from access by a user to the website and/or from use of the website, or from the inability to access it. emlyon business school accepts no liability with regard to the content of the information on this website, which is not necessarily complete, accurate, exact, error-free and up-to-date. 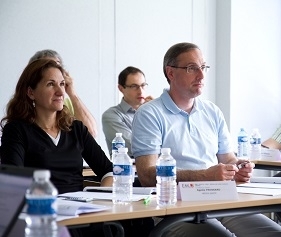 Nevertheless, emlyon business school strives to update the information and regularly check its accuracy. Technical cookies are used to save usage settings and to facilitate user navigation on our website. Cookies can also be used for audience measurement purposes (traffic statistics and, more generally, assessment of the use of websites, particularly via the Google Analytics tool, an internet website analysis service by Google) or targeted advertising, if the user has previously consented thereto. Users should not forget to set all the browsers of their various devices (tablets, smartphones, computers, etc.). emlyon business school does not control the websites connected to its own website, and cannot be held liable for their content. emlyon business school cannot in any way be held liable for websites with hypertext links to this website and disclaims all liability for their content and use. Furthermore, referral to a website to complete any information sought does not in any way mean that emlyon business school acknowledges or accepts any liability for the content or use of said website. It is therefore your responsibility to take the necessary precautions to ensure that what you choose to use is free of errors and elements of a destructive nature such as viruses, Trojans, etc.